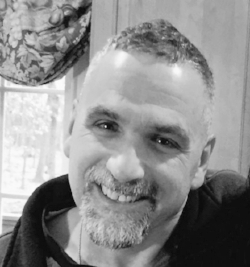 Owner Dean DeLucia has had his hands in the carpentry and remodeling business from a very young age, assisting his father in his own residential construction business and working on his first new home when he was just 15 years old. Dean’s well-rounded background includes a Master’s degree in Business Administration, a 20+ year corporate business background, and hands-on skills and knowledge of the residential construction business. Together this makes him uniquely qualified to assist his customers in transforming their vision a reality. State of Connecticut Home Improvement Contractors License #615686. DeLucia Construction was formed in 2001 when Dean left his corporate career to begin constructing new homes in partnership with a long-time friend. Over the years we have focused more on the remodeling aspect of the business, working with our clients to construct additions to their homes, renovate and/or build bathrooms, renovate kitchens, build decks, finish basements, and perform virtually any project that can be completed to enhance the value and comfort of one’s own home. We also occasionally complete light commercial/retail projects. DeLucia Construction is a full-service contractor that can complete your entire project through the use of our own skilled employees, as well as through utilizing our many long-term relationships with sub-contractors, such as electricians, plumbers HVAC contractors, roofers/siders, flooring installers, masons, painters, and more.